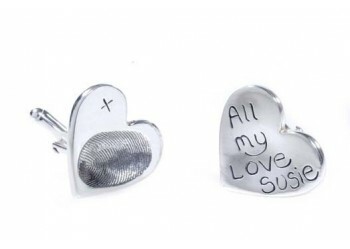 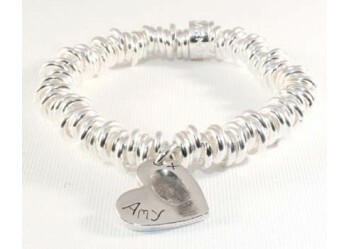 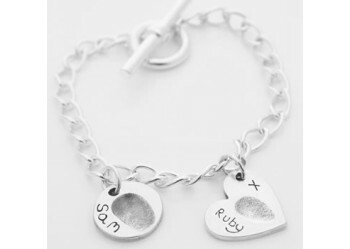 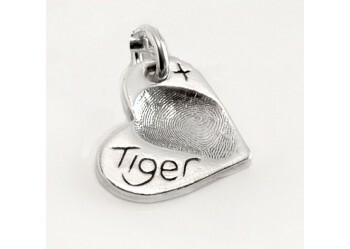 Our Heart shaped Fingerprint Charm is the most popular of our small Charms, perfect to add to a ..
Do you wish to capture a small fingerprint impression, maybe a babies or young child's? 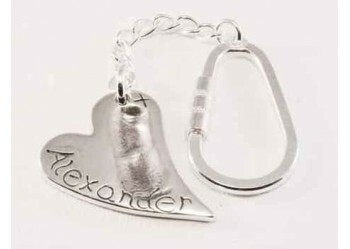 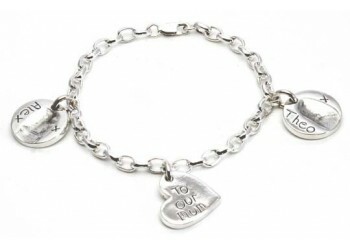 Or are you l..
An Alternative Funky Heart Key-ring or Handbag Charm. 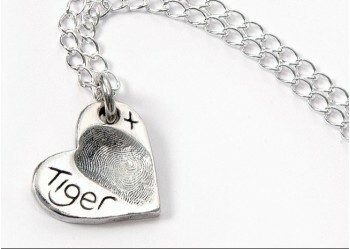 This Charm can fit a fingerprint plus a name w..
Our individual Hand and Foot print Charms make a lovely gift to celebrate the birth of a child or fo.. 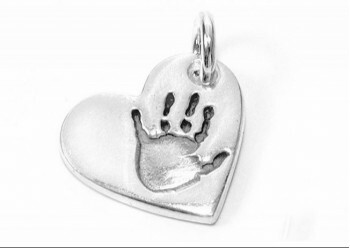 If you are looking at having 2 different fingerprint impressions on one Chain, then this Double Hear..
An eye catching Pendant featuring the hand or footprint of your baby or child, miniaturised and inco.. 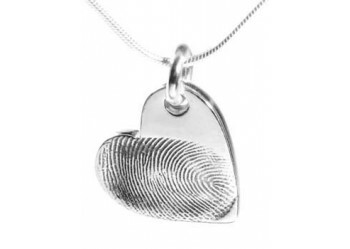 This contemporary and eye catching Fingerprint Pendant measures 2.5cm in length and is the largest o.. 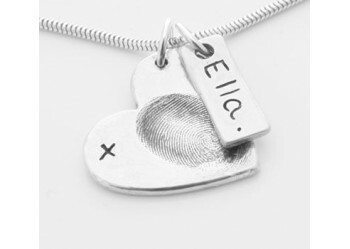 These unique Cufflinks make an ideal gift for any Father or Grandfather, and are perfect Wedding Day..
One of our most popular Fingerprint Pendants, this versatile Silver Heart will feature a finge..
Our first and original Fingerprint Impression Pendant, this 2 .2 cm Fingerprint Heart Pendant comes .. 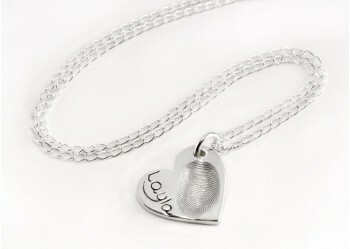 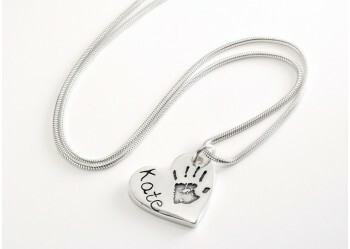 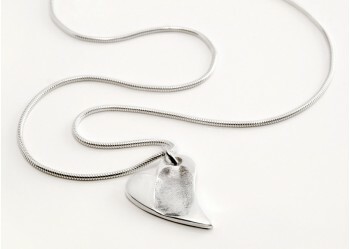 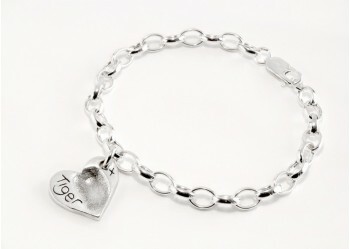 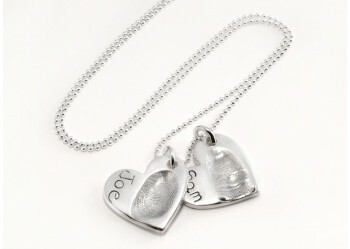 This Simple Heart Fingerprint Pendant features a fingerprint on the front and a name, date or short ..